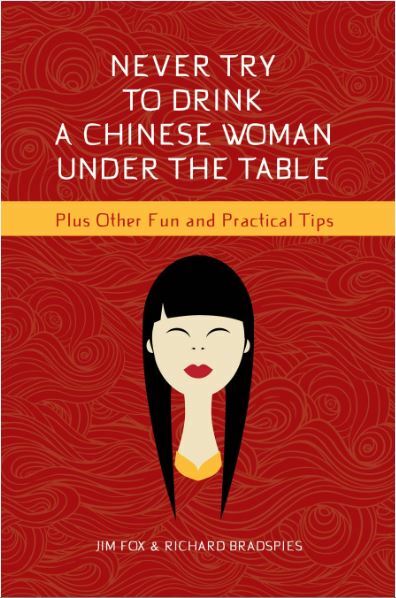 Never Try to Drink a Chinese Woman Under the Table is a different kind of book about doing business in China, and it is done with humor. The Chinese command one of the world’s largest economies yet routinely baffle foreigners who try to do business with them. SKU: 9781939521255. Categories: Business, Humor. Tags: Business, Chinese, culture, J.D. Fox, Richard Bradspies. Never Try to Drink a Chinese Woman Under the Table is a different kind of book about doing business in China, and it is done with humor. The Chinese command one of the world’s largest economies yet routinely baffle foreigners who try to do business with them. Trying to drink a woman under the table is one of the MANY ways you can blow it when doing business with Asians. You can also get grey hair waiting for your menu to come at a banquet in a Chinese restaurant’s private room. And do you really have to eat the ox tongue and tripe with roasted chili- garlic black beans? And why can’t you get a glass of cold water? Richard Bradspies spent more than a decade as the Bank of China’s top American in the US. He and PR pro J.D. Fox have authored a book about understanding the Chinese and other Asians in a business and cultural context. Ace Your Teacher Interview provides you with inside information on how to prepare for interviews, various interview formats, and how to handle tricky questions. Additionally, you ll discover a creative range of inside information on what impresses interviewers and makes you stand out as a candidate. In a witty and informative manner, Fredericks generously shares the time-tested strategies that will get you hired. “Kathryn has provided great support to the Navy Fleet and Family Support staff located worldwide.” ~ Barbara Geisler, Learning Specialist, Zeiders Enterprises, Inc.